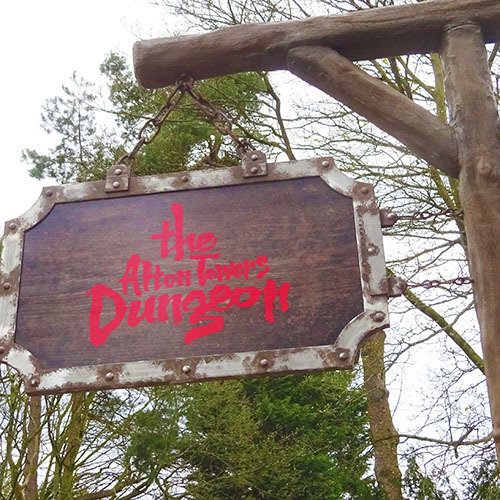 Many regard Alton Towers as the UK's Number 1 theme park, featuring world-class rides including Nemesis, Oblivion, and Hex - a ride set in the Towers ruins themselves retelling one of the many local legends. 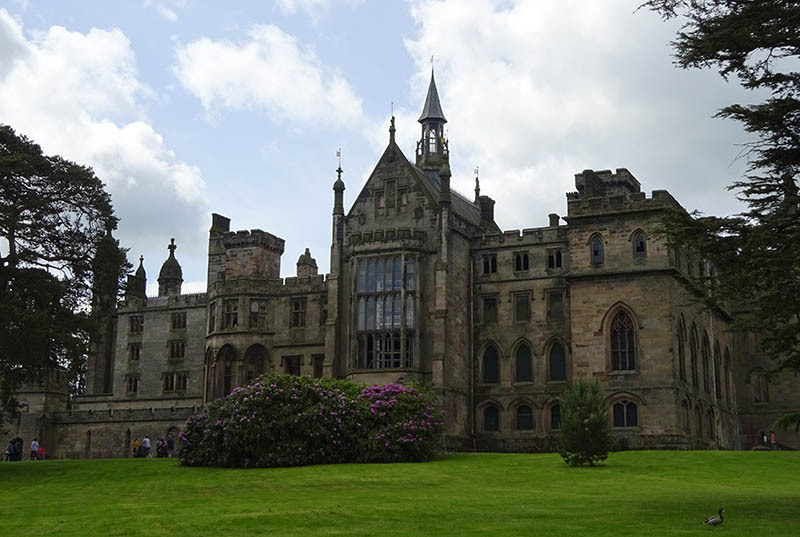 Alton Towers was the Earl of Shrewsbury’s ancestral home from 1442, when Sir John Talbot who owned the Estate at the time was granted the title, up until it was sold to a group of businessmen in 1924 who opened the house and gardens to the public. 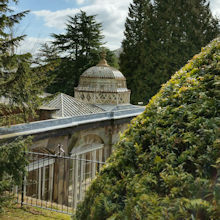 The Estate had been partially open for middle class ticket-bearing patrons from as early as 1837, but it was Henry Chetwynd-Talbot, the 18th Earl, who began regular opening of the house and gardens as a tourist attraction after he arrived at Alton Towers in 1860. The Towers came under the ownership of John Broome, a millionaire who had made his fortune in property development, in 1973. Broome began the transformation of the site into a theme park when, in 1980, he installed Corkscrew, the first of Alton Towers’ major rollercoasters. 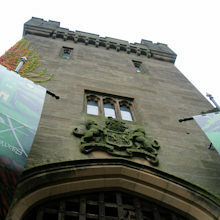 Since that time, Alton Towers has grown into one of the UK’s largest and most popular theme parks. 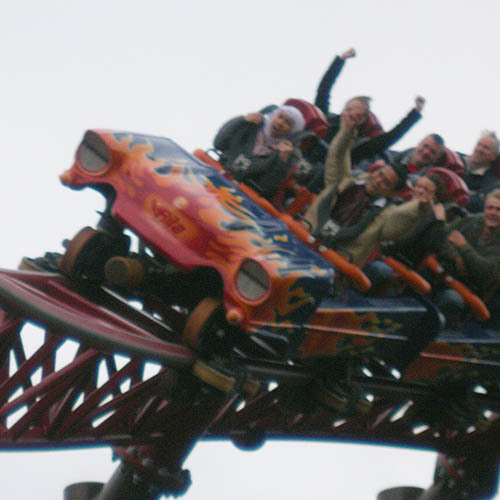 It is currently owned by Merlin Entertainments and attracts almost two million visitors per year. The theme park is split into themed lands, with Towers Street forming the park’s main entrance and acting as the other end of the monorail from the main car parks. Looking down Towers Street, visitors get a spectacular view of the Towers ruins themselves and the great lake and lawns in front of them. 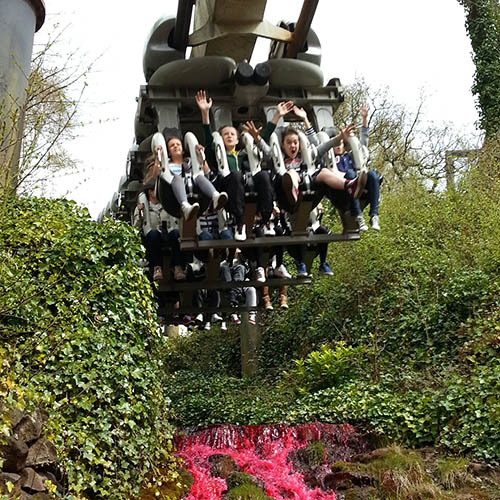 Other major areas include Forbidden Valley, home to Nemesis and Galactica (formerly Air) – both rollercoasters from B&M; X-Sector, home to Oblivion and The Smiler rollercoasters; and Dark Forest, home to Th13teen and Rita. Katanga Canyon contains the Runaway Mine Train and Congo River Rapids, and Gloomy Wood houses Duel: The Haunted House Strikes Back. Also in Gloomy Wood is Wicker Man, Alton Towers' new wooden rollercoaster which features a towering Wicker Man statue, which bursts into flames as trains pass through. 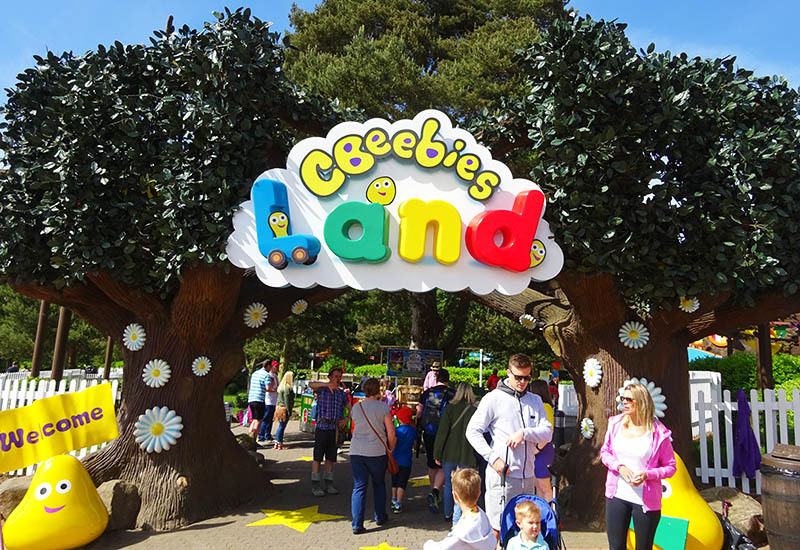 CBeebies Land is a park-within-the-park, and aimed at young children. 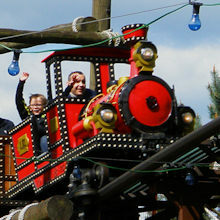 It features rides and other attractions based on characters and shows from the BBC’s CBeebies TV channel. It opened for the 2014 season and, due to its phenomenal success, has been expanded several times since then. Special events include Scarefest, the parks's annual Halloween event which sees the addition of terrifying scare mazes and other haunted attractions in October; and Alton Towers' huge Fireworks Spectacular that brings the season to a close at the beginning of November. Alongside the theme park, the resort boasts three on-site hotels, luxury lodges, a spa, a waterpark and a mini golf course. 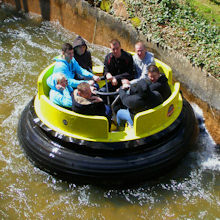 These have helped transform Alton Towers into a multi-day holiday destination. 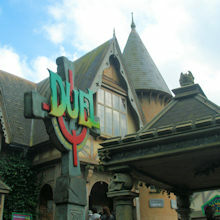 Duel: The Haunted House Strikes Back! If you really have to retrofit your haunted house with targets and laser guns, you could do worse than follow Alton's example - but it's still better without!